Oral health is an important component of overall health. There are links between chronic oral infections and other health problems including diabetes, heart disease, and adverse pregnancy outcomes. Even though dental cavities and tooth decay are largely preventable, they remains the most common chronic disease of children age 5-17. In fact, dental cavities are 4 times more common than asthma. Nearly 75% of American adults suffer from various forms of gum disease and don’t know it, according to the American Dental Hygienist Association. Disease and inflammation in the mouth can foster the development of clogged arteries and blood clots. People with periodontal disease are 1.5 to 2 times for likely to suffer a fatal heart attack and nearly three times more likely to suffer a stroke. Periodontal disease can also make diabetes worse. Diabetic patients with severe periodontitis have greater difficulty maintaining normal blood sugar levels. Why does periodontal disease and tooth decay cause systemic problems? One of the important factors to consider is that the human mouth is full of bacteria. When there is inflammation of the gums and tissues of the mouth it will create an environment that encourages the growth of unhealthy bacterial species. These bacteria can get into the bloodstream very easily from the mouth and circulate and cause problems elsewhere. For example, people who have heart disease of the valves are frequently prescribed an antibiotic prior to a dental treatment because the release of these bacteria into circulation could cause inflammation of the heart valves. A thorough oral examination can detect tooth decay as well as signs of nutritional deficiencies, systemic diseases, immune disorders, injuries and some cancers. Yet, last year only 60% of American adults visited the dentist. When patients are seen at the Portland Clinic of Holistic Health we understand the importance of nutrition and disease – and dental decay and periodontal disease are symptoms of underlying nutritional disorders. One of the tests we perform routinely is the Polysan Antigen-Antibody infection screening test. Several of the groups of infectious bacteria we test for in the body reside in the mouth. When patients do have dental work – a cavity filled, a root canal, even a teeth cleaning and routine dental exam- there are some things to consider. With any cleaning there is going to be dispersal of these dental bacteria into circulation. With any type of filling, root canal, etc there is irritation and exposure to the dental materials, gluing agents, the anesthetics that the body must detoxify, there is the potential nerve damage from the necessary procedures, and potential risk of infection in the area of the procedure. For those reasons and more we advise patients who are having dental work or cleanings and exams to schedule a Bio-Thermal Therapy® Treatment as soon as possible after the procedure. The same day is not too soon. We have a special Diathermy procedure designed for after dental work. This is a special type of Bio-thermal Therapy® in addition to the standard treatment which improves digestion, organ function, immune function, cardiovascular function, reduces inflammation, fights infections and improve the blood. We incorporate into the customary Bio-Thermal Therapy® treatment infrared therapy to the jaw along with contrast hydrotherapy locally and to the torso. We use the sine wave pads to increase the number of white blood cells and use high frequency at the end of the treatment to reduce inflammation and encourage tissue healing. The post dental treatment is designed to reduce inflammation, encourage healing, detoxify from the dental anesthetic, the glues and solvents, to help the damaged injured nerves and gum tissue to heal, and to help clear the body from the bacterial exposure of the dental treatment. This special Bio-Thermal Therapy® protocol has been in use for over 70 years. It improves the outcomes of dental procedures by encouraging tissue healing and decreases the chances of post dental infection, nerve damage, and damage from the toxic metals, composites, adhesives, etc. Remember to schedule a Bio-Thermal Therapy® Treatment as soon as possible after each dental visit, ideally the day of or the day after the dental appointment. Are you concerned about the potential risks and side effects of too many mercury or amalgam fillings? Do you plan on having your mercury fillings removed? There are risks associated with mercury but also with mercury filling removal. It is always important to discuss with your doctor and dentist whether removal is a good idea. 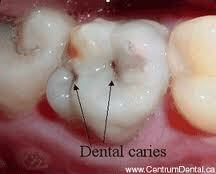 Also, it is important to consider that the ‘ceramic’ fillings also contain heavy metal preparations. Gold is generally the most biologically compatible but can also be more expensive. If you are going to have mercury fillings removed it is important to find a dentist with tools and experience necessary to remove your mercury fillings safely. Your dentist should use a high powered vacuum to absorb mercury vapors, continuous cold water applications with suction, and provide you with protective gear such as goggles. Many dentists will require basic blood work be done prior to your appointment to make sure you are healthy enough for the procedure. Schedule an office visit at our clinic to map out a treatment plan for you. This should be done prior to the mercury filling removal. The goal of your individualized treatment plan is to prevent toxicity from small mercury particles that may be swallowed or breathed in during the removal of your fillings. Remember to schedule a Bio-thermal Therapy® Treatment after each dental procedure. In the case of several or a large filling removed at one dental visit, in addition to the dental Bio-thermal Treatment™ we advise the use of IV Vitamin C. These treatments are most effective if done shortly after your dental visit. At the clinic a simple urine test can screen for excess levels of heavy metals such as lead, mercury, cadmium, etc. Many of us are exposed to mercury or other heavy metals via our teeth or from environmental exposures such as Tuna, air pollution, flu vaccines, chemical fertilizers, etc.Sadly in the modern era it is no longer a matter of IF but when we will be exposed to toxic metals that can contribute to health problems. The issue now is that we maintain adequate detoxification and elimination of those toxic substances. That is a part of why an annual or twice annual 21 day purification program is so important. Brush your teeth twice a day. Replace your toothbrush every three or four months, or sooner if the bristles are frayed. A worn toothbrush won’t do a good job of cleaning your teeth. Visit your dentist regularly for professional cleanings and oral exams. For most people this is every 6 months. 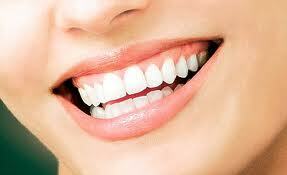 What you eat and how often you eat play an important role in the health of your teeth and preventing cavities. Research shows that children who have healthy dietary practices are 44 percent less likely to exhibit severe dental caries in early childhood compared to children with poor diets. For adults, a healthy diet can protect tooth enamel and result in fewer trips to the dentist. American Dental Association. “Good Foods for Dental Health.” Accessed March 2015. Nunn, M.E., N.S. Braunstein, et.al. “Healthy Eating Index Is a Predictor of Early Childhood Caries.” Abstract. Journal of Dental Research 88, no. 4 (April 2009): 361-6. Science Daily. “Raisins as a Functional Food for Oral Health.” June 13, 2005.